Analyze near-field signals and reduce electromagnetic interference (EMI) on boards and modules with the R&S®SpectrumRider FPH and the R&S®HZ-15 near-field probes. The R&S®Spectrum Rider FPH in combination with the R&S®HZ-15 nearfield probes is the best solution for local detection of H- and E-fields. EMI radiation and crosstalk caused by poor shielding can lead to signal quality and performance degradation in electronic RF devices. To minimize the overall EMI of electronic devices, local radiation sources on the integrated boards and modules must be well known. RF designers perform near-field measurements at the module level to determine whether electromagnetic disturbance complies with the applicable EMC standard to be able to take corrective actions at an early stage. 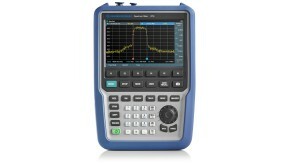 The R&S®SpectrumRider FPH handheld spectrum analyzer in combination with the R&S®HZ-15 near-field probes offers a cost-efficient and user-friendly solution for quickly locating and analyzing EMI problems on boards and modules during design. The analyzers high sensitivity (DANL of typ. < –163 dBm up to 3 GHz) makes it possible to measure even very small emissions. Based on prior field strength measurements, the designer already knows several critical frequencies of the board or module under test. Frequency and span have to be set accordingly on the R&S®SpectrumRider. Outside of shielded chambers, environmental noise and interference can influence the measurement, leading to false measurement results. 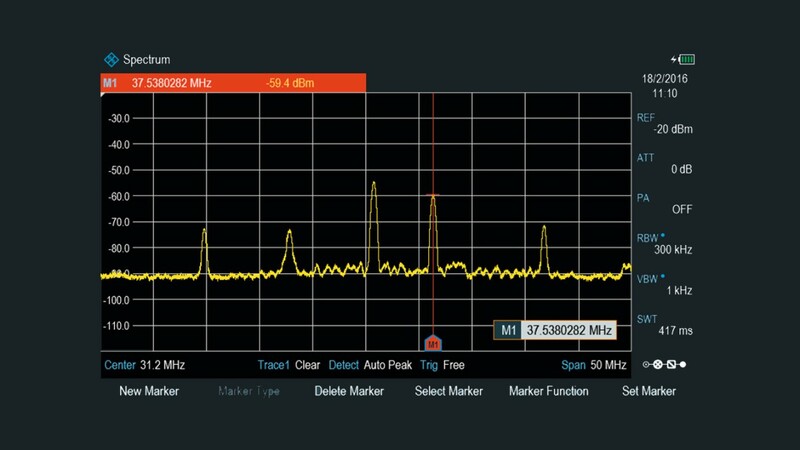 The R&S®SpectrumRider trace math function can be used to suppress environmental noise, i.e. 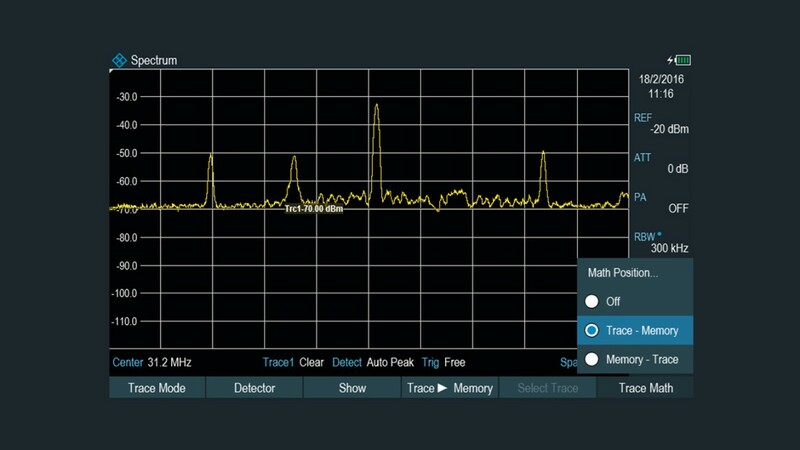 to subtract the noise from the actual trace. The trace math function subtracts the contents of the memory (the environmental electromagnetic interference) from the last measured spectrum trace. The DUT is switched off. The environmental EMI spectrum with an interferer at 37.538 MHz is measured and stored in the trace memory. The DUT is switched on. The R&S®Spectrum Rider measures the EMI spectrum of the DUT and the environment. EMI spectrum of DUT with subtracted interferer. The trace math function subtracts the stored environmental EMI from the last measurement, and the R&S®Spectrum Rider displays the resulting EMI behavior of the DUT. Limit lines can be used for pass/fail indications on the display and to easily monitor improvements after EMI design optimization. The narrow electrode probe 3 can select a single conductor track down to 0.2 mm in width. Probe 4 detects emitted E-fields on the surfaces of bus structures, large components or supply structures. 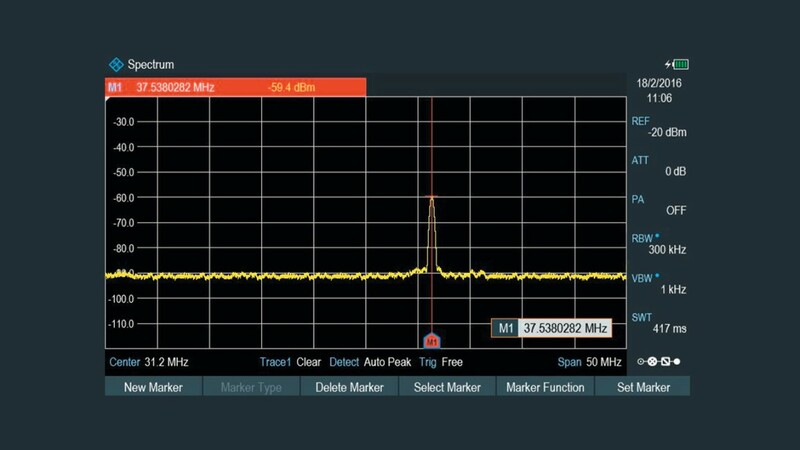 Adding the R&S®HZ-16 preamplifier between the near-field probe and the spectrum analyzer increases sensitivity, making it possible to measure even very weak high-frequency fields up to 3 GHz. 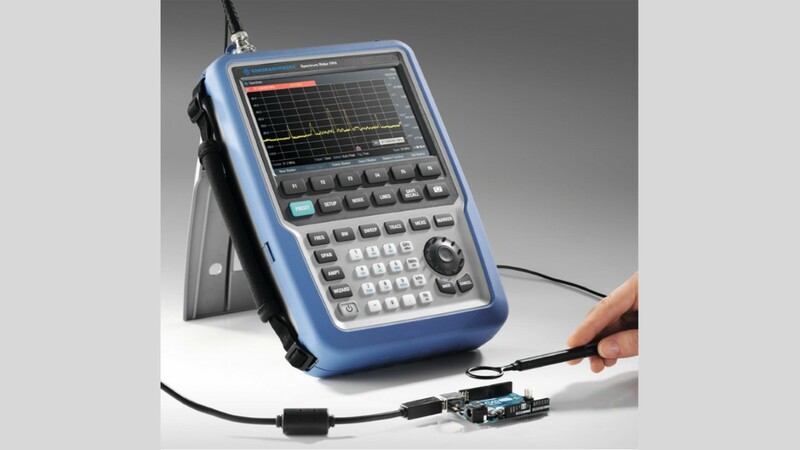 The R&S®Spectrum Rider trace math function in combination with the near-field probes is ideal for preliminary investigation of a DUT’s EMI performance right on the developer’s bench. As the lab is inevitably a noisy and constantly changing electrical environment, a shielded chamber is required to accurately and repeatably determine the EMI performance of a device. 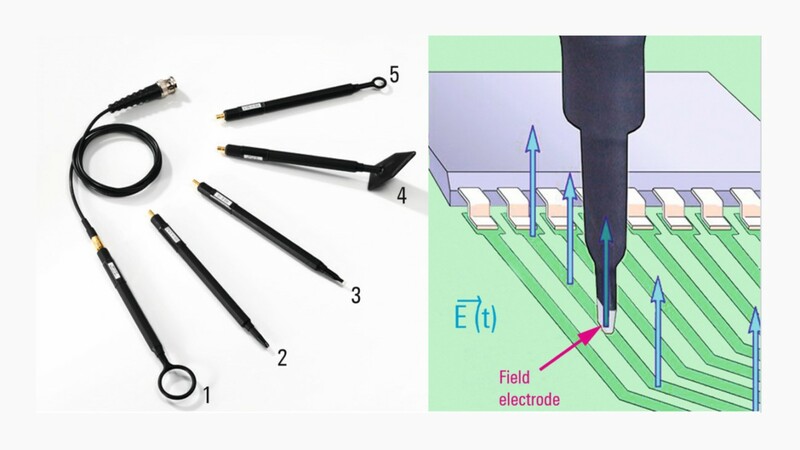 Passive probes for various near-field measurement tasks:The passive probes are designed for various near-field measurement tasks, such as probe 3 that is able to select a single conductor track down to 0.2 mm width.